Every Desk Needs a Hedge Hog! This is “Hedgie.” He sits on my desk and reminds me that I am an artist, even when I don’t feel like one! He is part of my mini gazing ball collection. More pics of my mini gazing balls coming soon! 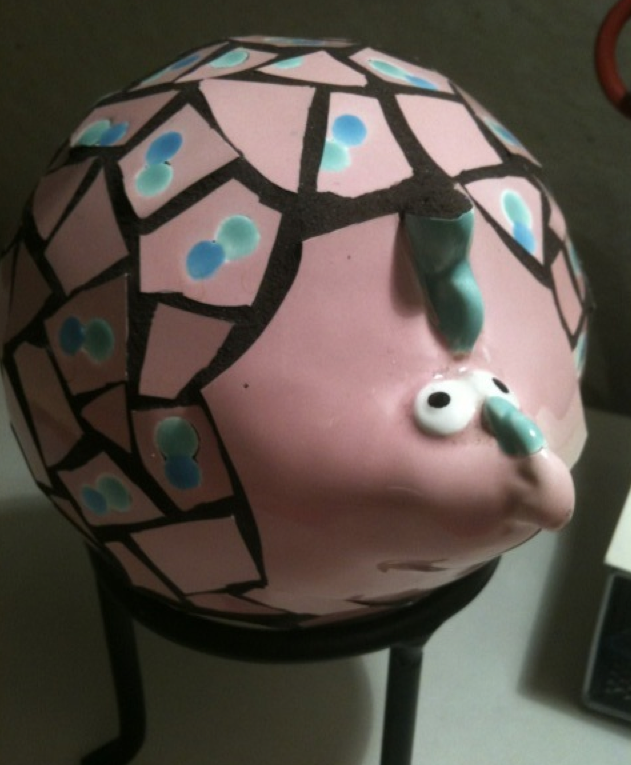 This entry was posted in Finished Work and tagged Finished Work, hedge hog, Mosaic hedge hog. Bookmark the permalink.